Innovator focused on advanced technologies and helping real estate, hospitality and construction organizations operate more effectively. World traveler passionate about involving different cultures. Most people are familiar with the term “smart” or “intelligent building.” But what exactly does it mean? It may come as a surprise to those who envision a collection of technologies automatically switching off lights in unused rooms, or turning on air-conditioning as another room fills with people, that none of these capabilities alone make a building smart. In essence, a truly smart building can be measured by how well it responds to the long-term needs of the asset’s investors and owners and the immediate and ongoing needs of its occupants. A smart building can be measured by how well the various systems communicate and how the usage data is aggregated, analyzed and applied to building performance. It can be measured by all of these considerations as well as by the technologies that are in place to respond to the various input devices. Technology is changing more rapidly these days than ever, and what might be cutting-edge tomorrow is likely to be obsolete next year. 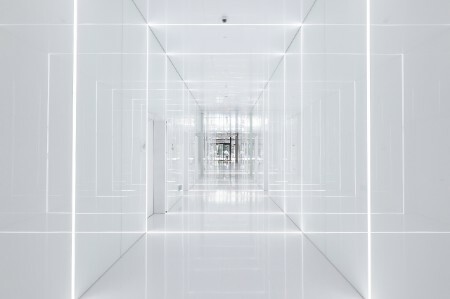 One way to view a truly smart building is as a reflection not solely of a particular piece of technology but also on the goals that stakeholders need to achieve. To that extent, a smart building can be thought of as an ecosystem, a dynamic entity with many devices of varying age that “talk to” and depend on one another, sharing data and responding to various needs. Key to this complex interaction of software and hardware is the human element, the overriding “voice,” if you will, of guidance and direction that points all other systems toward those goals. A global technology leader unto itself, Microsoft combines the technologies of others, and in many cases older systems, into a single platform, one dashboard, to manage portfolios around the globe. As a result, Microsoft realized US$240,000 in energy savings in a 30-day time frame — in just one campus. One key to this degree of success was certainly the in-place systems but also the overlay that turned those systems into an environment of shared information, which led to enhanced decision-making capabilities. In such logic-based environments, there are major gains that go beyond the specific capital savings of heating, ventilation and air-conditioning, or lighting. For instance, major savings can be derived from the better utilization of building staff, multiplied over various functions and a portfolio of assets. An engineer can now be freed up to perform the more forward-thinking, strategic tasks that are within her or his purview, rather than constantly chasing down thermostat issues. If a smart building can be defined by the logic of the ecosystem and the strategy of the stakeholders’ goals, it can also be seen as a highly tailored initiative. Cooling and lighting might be the priority for a portfolio of manufacturing facilities, whereas reducing overnight operational costs might be the priority in an office park. In our advisory capacity for clients around the globe, a key to developing a successful smart building strategy is often to start by identifying and defining those specific, overarching goals you seek to achieve. We see smart buildings as a long-term approach to highly specialized needs supported by a strong degree of communication and data sharing. There is no single, set definition of what a smart building is. It can be as varied as the needs of the stakeholders, and can transcend any one point in the progress of technology.